The Nitecore TM26GT Quadray is a powerful searchlight that features 4 LED lights that give of a maximum output of 3500 lumens. 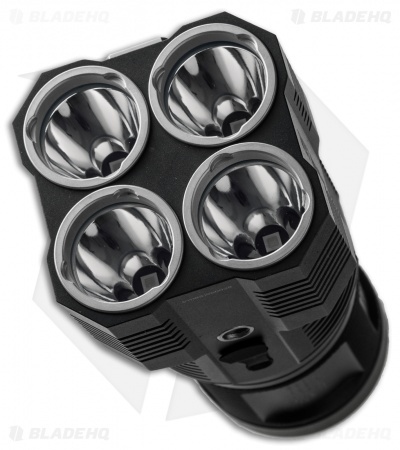 It is equipped with a smooth reflector and superior regulation technology that will throw your beam up to 704 meters. This powerful flashlight is the size of a soda can yet can emit more light than some full size flashlights. The two stage side switch allows you to access all of the available lighting levels and modes in one easy to use button. 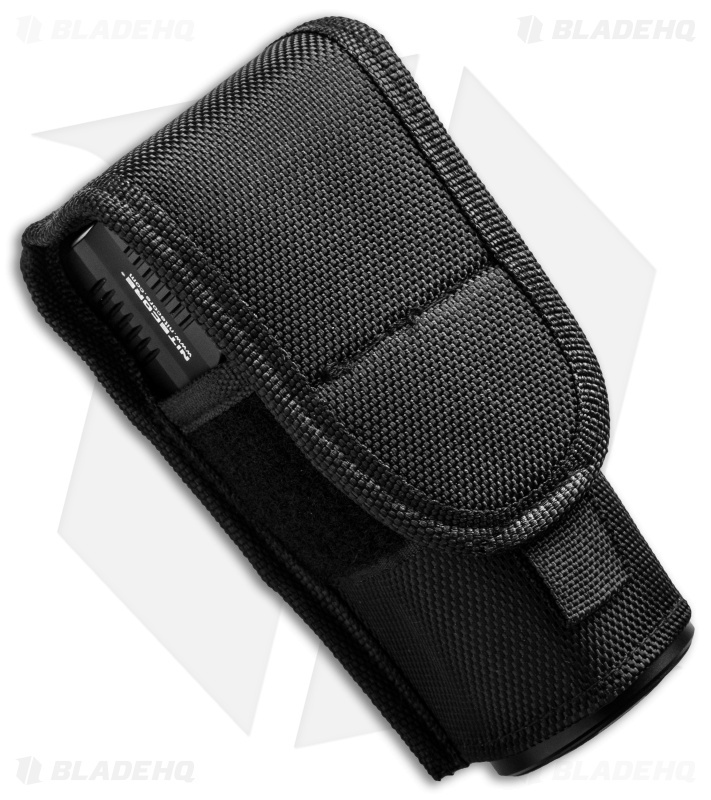 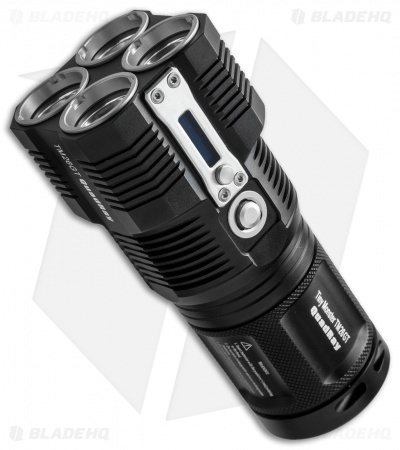 It uses four 18650 batteries to create an intense light beam that is perfect for search and rescue professionals. Turbo: 3500 lumens / 1 hr 15 min. High: 1700 lumens / 3 hrs 15 min. 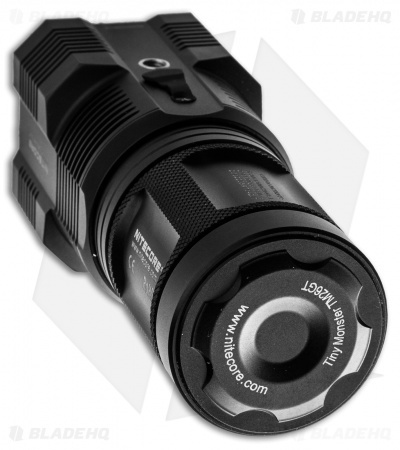 Mid: 540 lumens / 9 hrs 45 min.